Posted on October 29, 2018 by Navid Dayzad, Esq. The anti-Semitic domestic terrorist targeted the Jewish synagogue in Pittsburgh partly because of its outspoken support of immigrants. 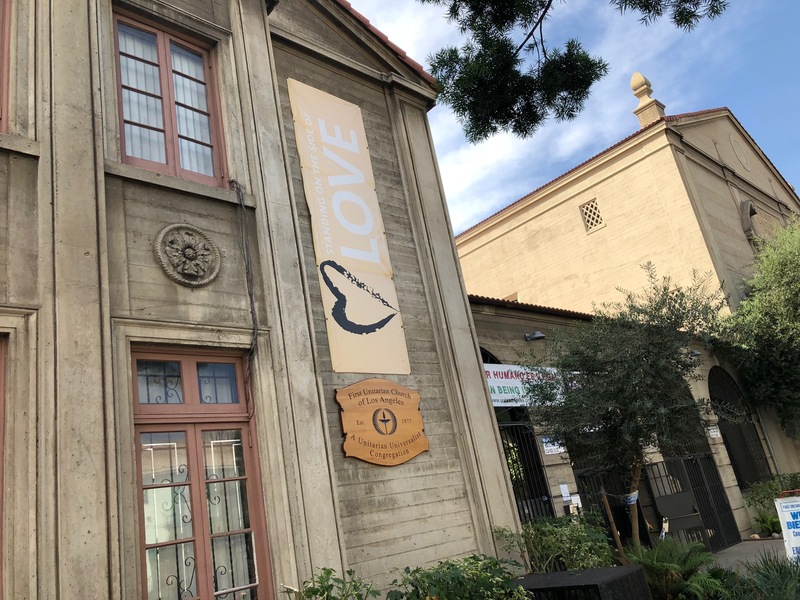 Undeterred from the violent attack on a faith community, the next day, the First Unitarian Church in Los Angeles spoke out in support of immigrants. I was proud to give the sermon to dispel the myths that fuel hatred of immigrants. Communities like the First Unitarian Church and the Tree of Life Synagogue pride themselves on offering support for these vulnerable people. I continue to support immigrants and communities who support them. One way to do this is to distinguish fact from fiction in the immigration debate. The next step is to become politically engaged this November. To help with this, the American Immigration Council has created a state-by-state immigration fact sheet for voters to use. The fact sheets include information on the financial contributions and demographics of immigrant communities in each state. I urge you to visit the website and educate yourself on these important issues. Further, First Unitarian Church has raised money to help post bond for deserving immigrant detainees. To contribute to the fund, please visit the Church’s website. Many immigrants do not yet have the right and privilege to vote for issues affecting their lives and need your support now more than ever.